Cette encre est plus à usage du dessin que du tatouage l'usage sur la peau est pas conseiller. favorisés parmi professionnel de tatouage artistes. 40x Tatouage d'encre. sûr et facile à utiliser. Apply sparingly with an extra finemicro brush to the wrong line and wait 3-5 minutes for colour to fade. To correct wrong lines during procedures. Saniderm is the best way to heal and protect new tattoos! Simply cut the size needed to fit the tattoo, apply to complete the healing process. This roll provides personal tattoo healing to the finish, depending on the size of each tattoo. Authentic Millennium Colorworks Tattoo Ink (a.k.a. MOM's). 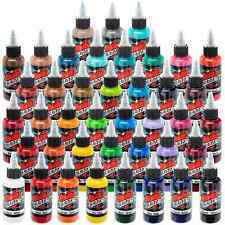 Three 1/2 ounce bottles of MOM's Tattoo Ink in the following colors Monthly Red. Blue Balls. Power White. Fixed Line Agent - Colour lock. 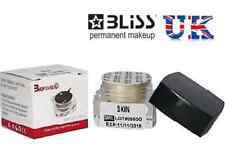 Apply with a microbrush after procedure to increase colour retention. Anti Swelling Agent. To help prevent swelling and reduce trauma during procedure. 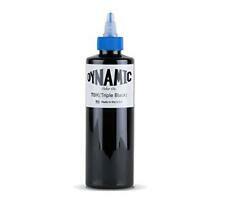 Zuper Black Intenze Tattoo Ink is the darkest and most intense black on the market. It can represent power, elegance, formality, death or even evil. Intenze Zuper Black truly captures the fear and mystery associated with black in your tattoos. 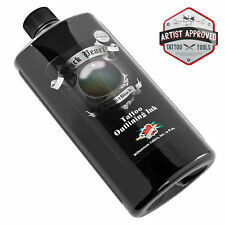 Black Pearl Perfect Black Outlining Ink - 12 ounces. 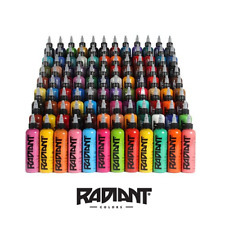 Authentic Millennium Colorworks Tattoo Ink (a.k.a. MOM's). Authentic Millennium Colorworks Tattoo Ink (a.k.a. MOM's). Three 1/2 ounce bottles of MOM's Tattoo Ink in the following colors Blue Balls. Power White. Black Onyx. Ideal for Tattoo Studios. Devils Needle.